I could spend a lot of time describing how awesome it is to dive, but I’ve done enough of that. I get the feeling that gushing about this crap to non-divers is like waxing eloquent about your fantasy football team to your mother-in-law. “It was awesome! Clinton Portis rushed for 175 yards yesterday and I won by one point. And I saw a school of grouper fish and a really pretty mini-eel and a barracuda the size of Olin Kruetz!” You’re lucky if they listen politely. Also, if you go on for too long, they will definitely think you’re insane. So I’ll get my gushing out of the way first. I saw two things today that were totally awesome. Denis (my instructor) and I saw a turtle feeding at the bottom of the ocean. It was just picking at the bottom, swallowing sea life like the deadly predator that it is. We also saw a fully inflated porcupine fish. That thing looked totally insane. Its eyes bugged out and it bobbed in the water like a helium balloon snapping at the end of a string. Denis said even though he’d dove thousands of times, he’d never seen that before. I felt special. There. That wasn’t so bad, was it? I will, though, subject you to more descriptions of what it feels like to dive. What was surprising to me about diving is how much you can see underwater. For example, today we dove to 16 meters (56 feet) and the visibility was still great. When you look down into the water from the boat, it looks dark in the depths. You’d think you’d need a flashlight. Not so. Light penetrates more than you’d expect. It’s also amazing how slowly you move. I always wondered why, in the movies, underwater special forces teams looked like they were going slow motion in the water. Shouldn’t the mission to take down Goldfinger really have a bit more urgency to it? Actually, turns out it’s not just water resistance that slows these badasses down. They’re probably trying to avoid succumbing to over exhaustion. When you dive and overexert yourself, you get a bit loopy. Think of it as punch drunk. You’ll start doing stupid things like take off your mask or stop responding to other divers or pull your regulator out and drown. I’m sure there is a perfectly good physiological reason why this happens, but I don’t know it. Perhaps it’s in the PADI dive manual. Anyway, the point is you want to do things in a controlled, slow manner so you don’t accidentally get air drunk and die. No idea if this is why the movie divers always look like they’re in molasses, but I like this theory so I’m sticking to it. We ended up doing a dive around Maya Nui South, near Maya Bay near Ko Phi Phi Leh. As I said, I’ll spare you the wildlife, but I will say that when we started we found a black skull cap on the bottom at about 12 meters (40 feet). Denis picked it up and carried it through the whole dive. When we surfaced and got back on the boat, I told him I thought it belonged to an Italian guy that I saw above deck. Turns out I was right. The Italian snorkeler flipped out with joy, called Denis his best friend, and offered him his wife as a reward. At least that’s what I think he said. It was in Italian. 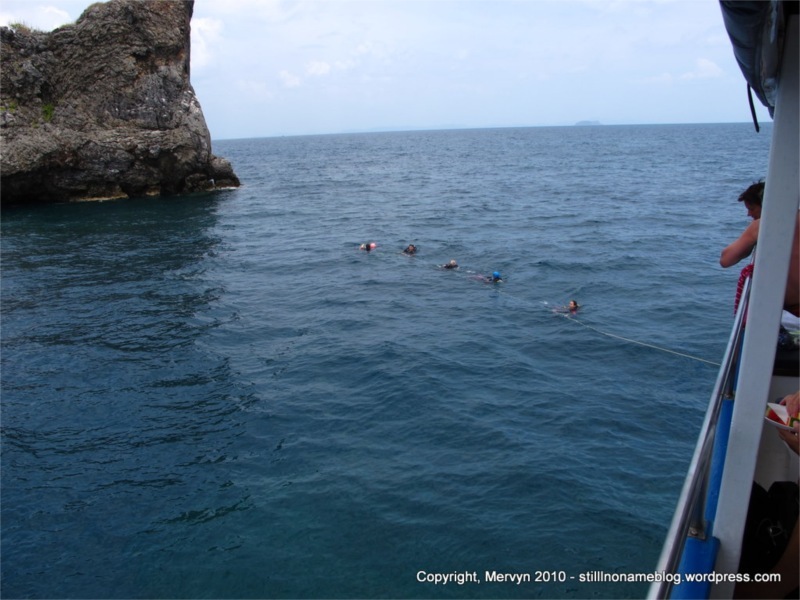 We also did a dive near Bida Noi. For that one, we circled an outcropping that jutted out of the ocean. When we got back to the boat, we lounged around as we headed back to shore. I crashed out and when I woke up, I realized I was the only non-White customer onboard (there were a couple of Thai guides). This made me thirsty so I had a free Sprite, one of a number of complimentary sodas. That’s when I also realized that I was the only person who had drank a Sprite. I could tell this because the trash bin was filled with only clear bottles and Sprite bottles are green. This led me to only one possible conclusion: Non-White divers are the only divers that drink Sprite because the bottles are colored. That and the ocean is racist. Ocean, you’re on notice for some affirmative action. I finished my PADI certification, but didn’t have any cash to pay for the class. I promised Denis I’d give the dive shop at Railay the money. He said that he’d have the paperwork ready for me to pick up by tomorrow, after I’d paid. When I hit the mainland, I pumped an ATM for cash and paid off the dive shop. While going through paperwork and asking about a liveaboard dive trip in the Similans, an Asian dude popped his head into the shop to ask about cheap accommodations. I offered to help. To make a long story short, I found a new roommate. Darrel is Chinese from the Bay Area. Roughly my age, he’s here to climb. 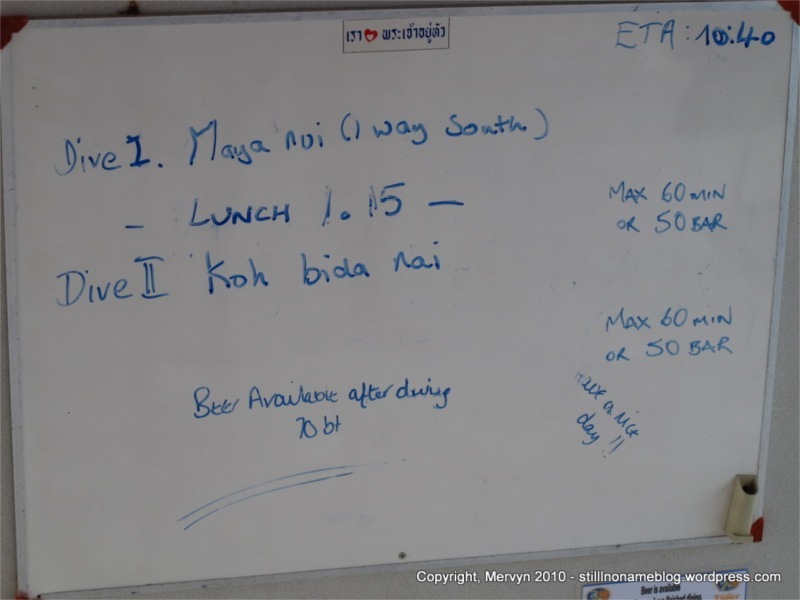 We ended up splitting the costs of the room at Railay Cabana and also booked a nicer place at Ya Ya Resort for the next night at about the same price. Tomorrow, we move into the much nicer digs. Things have a way of working out on the road. And, I really did see a barracuda and it was awesome and I don’t care if you don’t find it interesting because when that barracuda catches a touchdown pass in Monday Night’s football game I’m going to win my league! Take that. Stupid Tip of the Day: If you’re Italian and you choose to wear a Speedo while snorkeling, don’t forget to take off your black, knit skull cap. 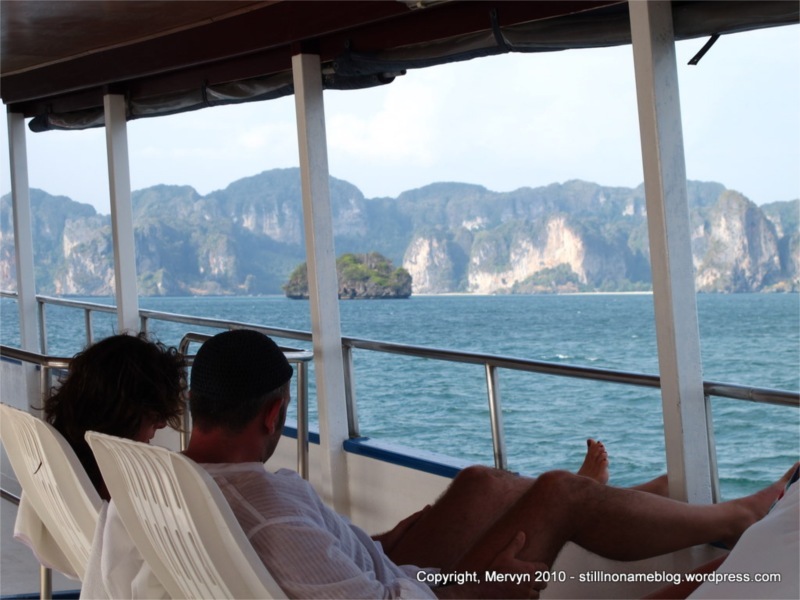 Not So Stupid Tip: If you’re staying in Railay, try to figure out what you’re primarily there for. 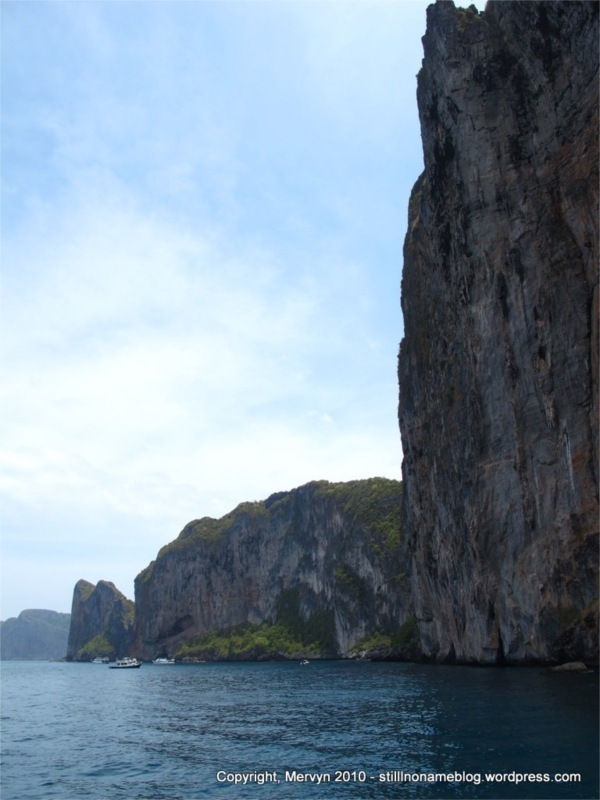 If you’re in for the climbing, consider Tonsai, where accommodations tend to be cheaper and renting gear costs about 25% less than in Railay. There are a ton of spots to climb right off the beach. If you’re looking for a good beach to lounge, I’d opt for something in Railay East, which is as close as you can get to Phranang Beach, the best beach on Railay. * Ya Ya is pretty good, cheap, and is centrally located. You can hit the beach, climb if you want, and eat and drink without much effort. If you are a bit silly, then you can do Railay West and overpay for a swimming pool and quick access to Railay West Beach even though cheaper places are only a 2 minutes away on Railay East. *Technically this is not true because you could stay on Phranang Beach at a resort that has rooms starting at $1,000 a night and topping out at are you insane. I would be insanely envious (my wife threatened to kill you after reading the blog) except for one thing. 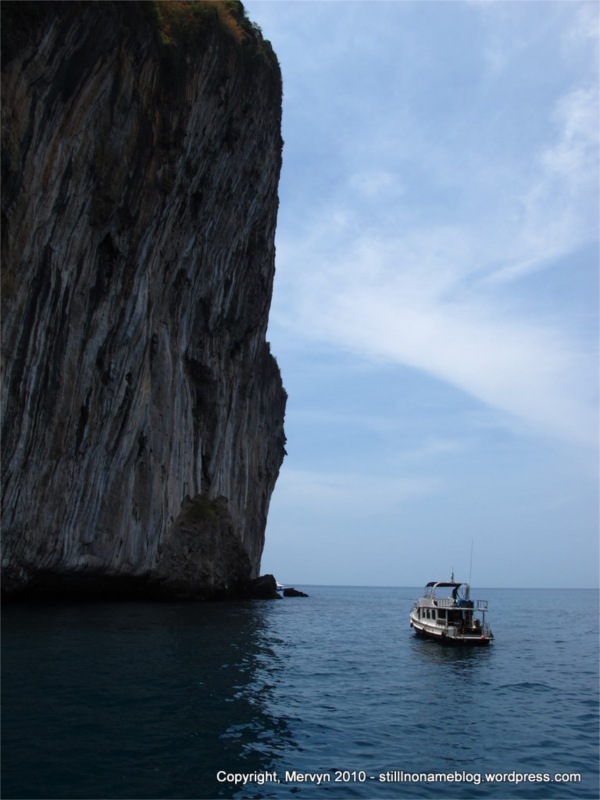 In 2000 I sailed (yes, under sail) a 46′ sailboat full of beautiful women from Phuket and into the harbor at Ko Phi Phi . Which makes me wonder why I gave up on the whole pirate king gig and applied to law school. A pirate’s life for me. . . I wish I had a boat. I’d be content with a kayak full for beautiful women.